Chevilo Puvvu Telugu movie is directed by EVV Sathyanaya. This is the first film of EVV Sathyanaya. This is Rajendra Prasad comedy movie. Rajendra prasa, Seetha, Thanikella Bharani and other. Chevilo Puvvu is one of the best rajendra prasad comedy movie. Full length comedy movie rajendra prasad excellent acting. 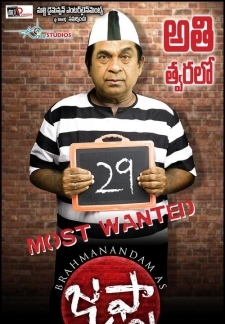 © 2018 Scratchu.com Chevilo Puvvu | Brahmanandam, Sri Lakshmi, Rajendraprasad, Seetha - Chevilo Puvvu (1990) | Telugu Movie | 6.1/10 | Synopsis : Chevilo Puvvu Telugu movie is directed by EVV Sathyanaya. This is the first film of EVV Sathyanaya. This is Rajendra Prasad comedy movie. Rajendra prasa, Seetha, Thanikella Bharani and other. Chevilo Puvvu is one of the best rajendra prasad comedy movie. Full length comedy movie rajendra prasad excellent acting.... Watch Online!! !